As mentioned in a previous post, I had to somewhat modify my Plague of Kali recipe to make it work for the PicoBrew BrewMarketplace. I had to substitute some hops, and also change the yeast I typically use to dry Safale US-05. I did a test batch on the Zymatic a while ago, and after fermentation and bottle-conditioning, it's now ready to sample. It pours nicely, with a great head and the usual rich amber colour. Smells wonderful, albeit a bit more of the obvious-hop notes, and less of the Nelson-Sauvin grapey goodness. 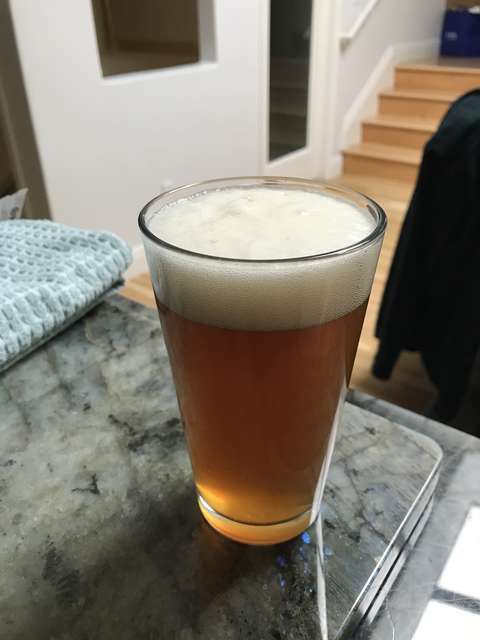 (The modified recipe still uses Nelson-Sauvin, but the other hops I'm using kinda bury it a bit...) Likewise for the taste, it's not nearly as subtle as my usual recipe, but it's still good. I definitely taste the variance in hops, and the yeast difference is significant as well.